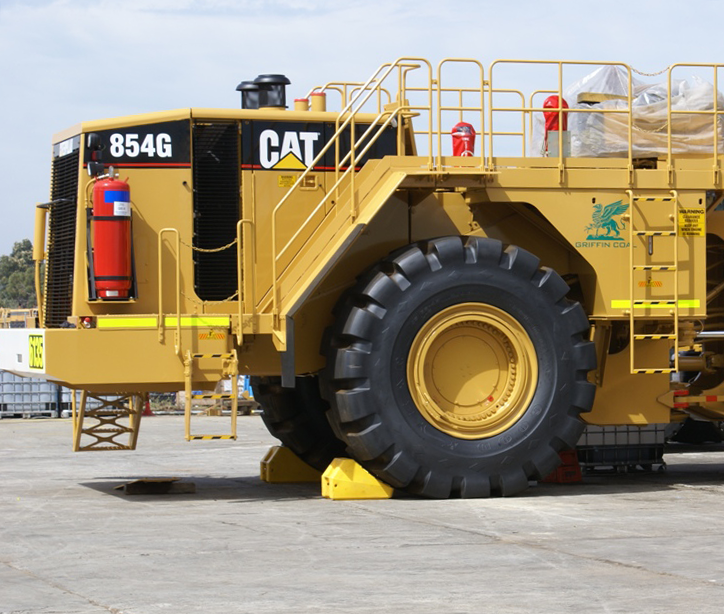 Supplying a wide range of tyres - including tyres for the massive earthmovers in the mining industry - this client also wanted to supply high quality wheelchocks to their customers. As always, it starts with thorough research on our part: we listened to the client to completely understand the many and varied applications that the end-user needed them for. We identified that they needed various sizes from our complete range of Westchock Wheelchocks, with the largest tonnage rating exceeding 150 tonne. No matter the size or weight of any tyre they sell, they now have a complementary wheelchock with a suitable tonnage rating. After initially ordering 300 wheel chocks, they soon ordered more. The client is extremely happy with how perfectly the product performs - the chocks are tough and lightweight at the same time.